Cooking from scratch has a big impact on achieving good nutrition but this often intimidates clients and they’re always surprised how simple and quick it is to rustle up a super-nutritious meal. My work is my passion! My private work has included individual families, celebrities and other high end clients such as the Saudi Royal Family. 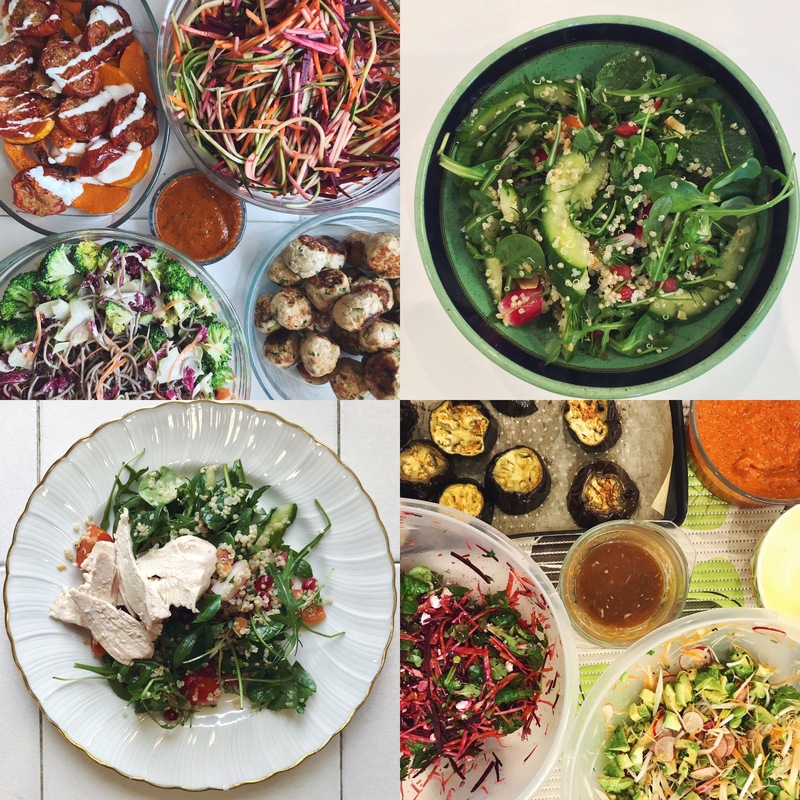 This work involves nutritional consultations and working alongside staff to educate and then develop and prepare tailor made menus and recipes to meet the needs of the client, which can range from weight loss to an overall improvement in general health and wellbeing. Menus vary but often include a buffet style of cooking such as in the sample menu plan found below. Aside from working with private clients I have also worked with groups in the realm of public health including children, older people as well as those training for a sports events. This work includes chef/cook training sessions and bespoke menu plans and recipe booklets tailored to your specific needs, which could include a health concerns or dietary preference such as a food allergy, intolerance or avoidance of meat. If you’re interested in corporate events then sessions can be organised either at your place of work or local cookery school and are a great way to help improve the health of your staff. I truly love everything about food and frequently frustrate my other half talking about supper before even getting out of bed in the morning. Having learnt to cook at an early age I have been surrounded by food in some way ever since. I took my first weekend job in a local cafe and spent the following 15 years funding myself through school and university working in some of the best restaurants London had to offer, expanding my knowledge of food. Now, I’m not a trained chef but would prefer to be thought of as ‘a passionate cook that enjoys getting it wrong sometimes!’ My style is cooking light and healthy using unprocessed ‘real foods’, minimising the use of sugar and other refined carbohydrates and focusing more on plants, lean proteins and plenty of healthy fats. I also like to teach clients about portion sizes and mindfulness which have proven to be useful tools for clients looking to lose weight. It’s really not that hard and alongside a healthy lifestyle and good sleep it won’t take long before you start to experience the benefits of your body working at its very best. Please mail or call me to arrange a consultation or cooking session.